Thick manganese-oxide crusts precipitated from hydrothermal fluids when the volcano was active and from seawater over time since, making it hard to discern the original rock textures. 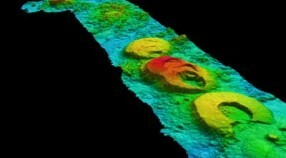 Many chains of seamounts (submerged mountains) are of hot spot or subduction arc origin. 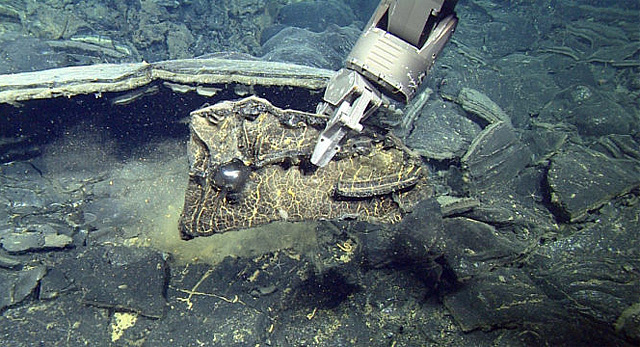 However, some intraplate seamounts have different origins. Near-ridge seamounts erupted near the axes of mid-ocean ridges onto recently derived oceanic crust. 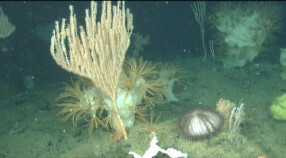 In the north-east Pacific, these include the Vance and President Jackson seamounts near the Juan de Fuca and Gorda Ridges, respectively, and the Taney Seamounts off San Francisco, which are no longer associated with an active spreading center (map, 50 kb). Some isolated seamounts and other linear seamount chains have erupted onto much older oceanic crust, and their formation is enigmatic: they do not appear to have erupted as hot spot volcanoes or near-ridge seamounts, and they are not associated with subduction processes. 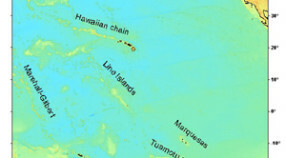 Examples of these include Davidson, Pioneer, and Guide seamounts (map, 118 kb) near the California coast, and the Line Islands chain in the middle of the Pacific Ocean. Note that our work at Axial Seamount is covered in the Mid-ocean Ridge section. There are many linear chains of seamounts that originate near mid-ocean ridges and are somehow due to excess magmatic activity that erupts intermittently but profusely over extended periods at that same point of the ridge. 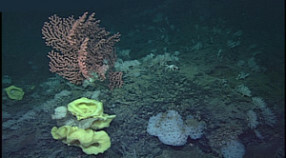 Davidson Seamount is one of several seamounts along the California continental margin. It is located about 120 km southwest of Monterey, CA, and rises to within 1300 m of the sea surface. Some linear chains of submarine volcanoes, such as the Line Islands in the Central Pacific, are not associated with a hot spot or mid-ocean ridge, and do not become progressively older with distance. 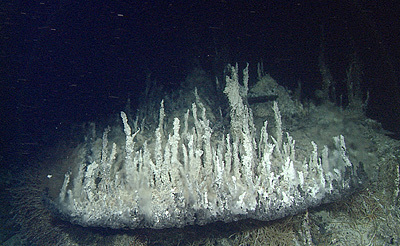 Our expeditions to the sea floor result in biological as well as geological observations and collections. New fish and sponge species have also been discovered. 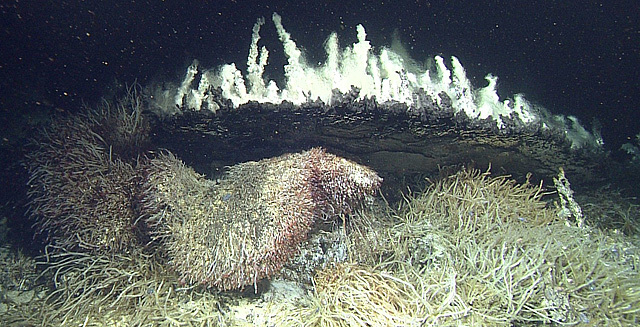 In another study, deep sea coral on Davidson Seamount were examined and isotopes in their skeletons were used to study past climate change.